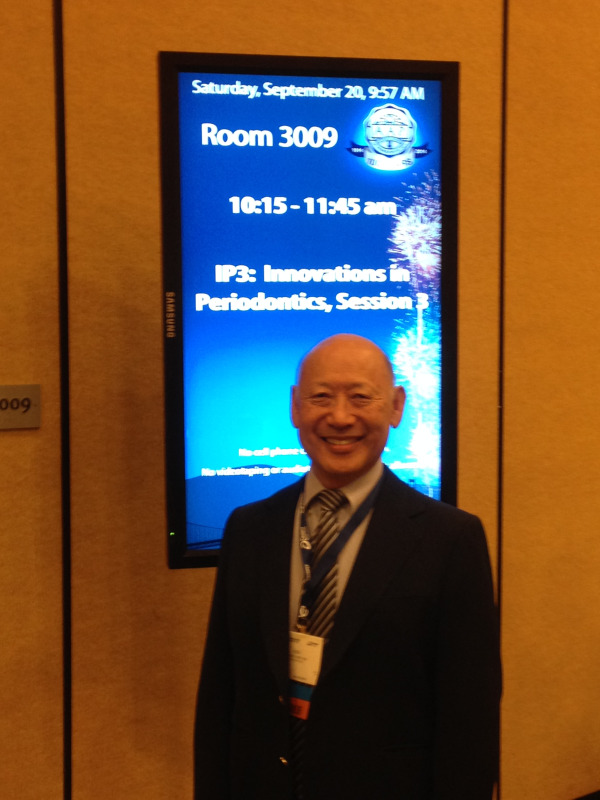 Dr. Abe was selected to present his Alveolar Buccal Enhancement Procedure (ABE Procedure) to the American Academy of Periodontology 100th Anniversary National Meeting in September 2014. He presented his technique to improve implant esthetics and predictability to the Academy in the Periodontal Innovations Symposium on Saturday September 20, 2014 in San Francisco. When teeth are extracted the gums collapse resulting in a “saddle area” or recession of the gums. To counter this the Socket Preservation Proce dure was developed. This helped limit the degree to which the ridge collapses but did not eliminate it. There is still some unavoidable collapse. The ridge collapse makes implant placement more difficult. 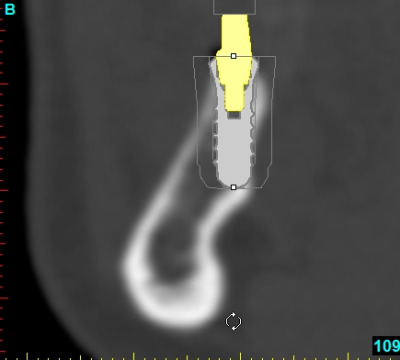 It forces implant placement lingually, resulting in esthetic as well as functional compromises such as “mushroom like” crowns, and “food traps.” Because of this the surgeon is then faced with a dilemma, accept the alveolar deficiency and place the implant anyway, put the patient through another procedure to correct the problem, or correct the problem at the time of implant placement which is more unpredictable. The ABE Procedure enhances the bone underlying the gums at the time of extraction resulting in a more esthetic contour. It also creat es an improved ridge contour for implant placement by preventing the ridge from collapsing and, in many instances, enlarging the ridge. It avoids the need for extra surgical procedures (and their cost) that is often required before implants are placed. 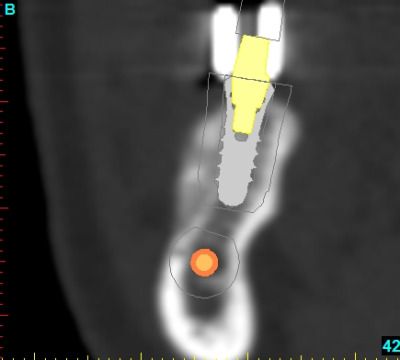 It also creates a more predictable implant both functionally as will as aesthetically. Because the implants can be placed in a more ideal position, it is easier for the restorative dentist to create an esthetic pleasing crown. It reduces the need for “custom abutments” because adjustments do not need to be made to correct for implant position problems. This decreases costs for both the patients and dentists.